Add one more name to the growing list of Democrats who want to be president in 2020. 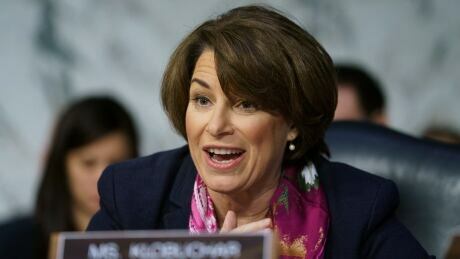 Amy Klobuchar, a three-term senator from Minnesota, made the announcement Sunday in Minneapolis. She's the most prominent Midwesterner in the race so far. Her party is trying to win back voters in a region that help put Donald Trump in the White House in 2016. She has said that success could translate to other Midwestern states, such as Michigan and Wisconsin — reliably Democratic in presidential races for decades until Trump's victory over Hillary Clinton.